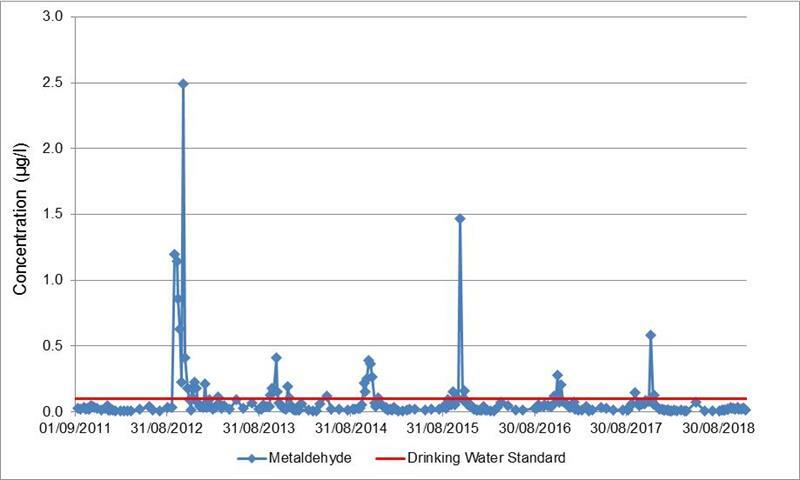 The latest samples results show that metaldehyde concentrations have remained below the drinking water standard at all 12 monitoring sites, despite significant rainfall in the days prior to sample collection. Rainfall is predicted to be minimal over the coming week, however the cooler weather means that soils will remain moist and there is the risk that rain later in the month could mobilise metaldehyde from slug pellets that have already been applied. If you need to make any further slug pellet applications this autumn please consider water protection, use ferric phosphate and as always, follow best practice guidelines (www.getpelletwise.co.uk). 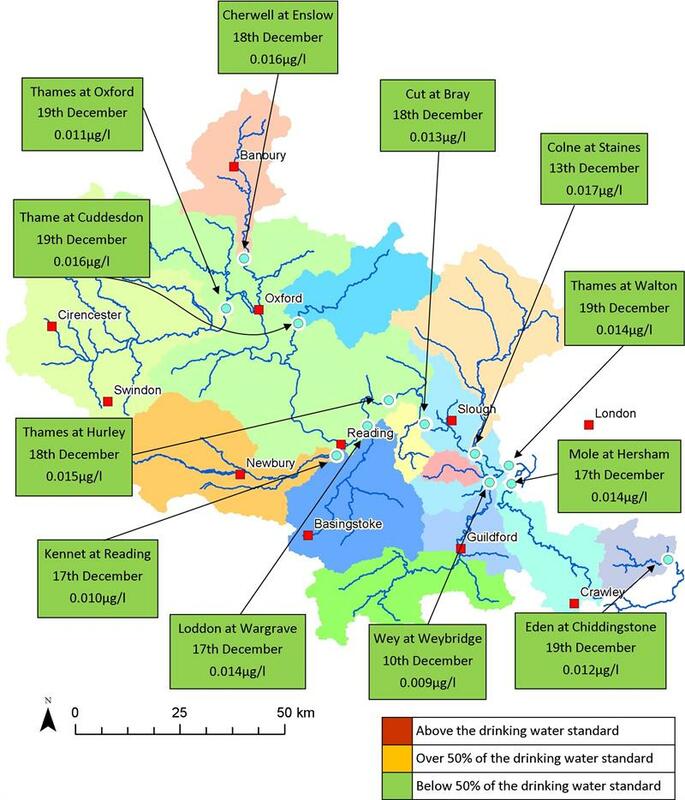 Metaldehyde concentrations in the River Cherwell at Enslow have exceeded the drinking water standard 38 times in the past, almost every autumn since monitoring began in 2011. The highest concentration recorded at this point was in autumn 2012, with a peak of 2.49µg/l, nearly 25 times the drinking water standard. However, so far this autumn, concentrations have remained below the 0.1µg/l standard, which is great news and possibly a result of what farmers have been doing in this catchment to protect water from metaldehyde contamination.